How Do I Handle Taxes For an Out of State Car Purchase? As Jalopnik’s resident car buying expert and professional car shopper, I get emails. Lots of emails. I’ve decided to pick a few questions and try to help out. This week we are discussing taxes and fees when buying out of state, what “dealer prep” means, and the need for insurance on a car with a loan. First up, if you buy a car from out of state how are the local taxes handled? Hi, I’m trying to buy a car, but the cars that I’m looking for are in another state, and I was wondering if it’s impossible to just buy the car out of state (pay just for the car and tax) and have them give me a temp tag, and I would do tags and titles in my own state, or does it not work like that? The cars I’m looking at are at a used car dealer if that matters. Surprisingly, this is one of those situations where because people aren’t sure of the logistics some folks are discouraged from shopping out of state. Which is too bad, because sometimes you can score much better deals if you cast a wider net and the whole tax and DMV thing really isn’t that complicated. 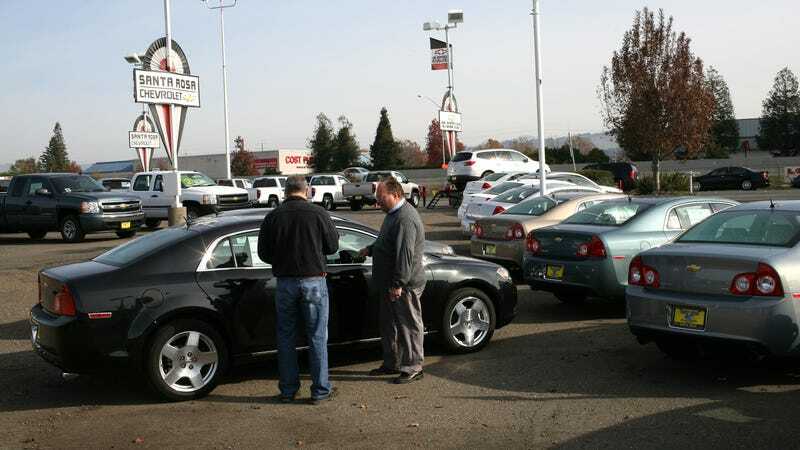 There are basically two ways the tax can work out on an out-of-state sale: The first option is the dealer can charge you sales tax and tags based on your location and sell you the car with temp tags. The dealer would then handle tax and tags and mail you your plates. Or the dealer may just sell you the car with temp tags and you take care of tax and registration once you get it home. In either case, you are paying the local sales tax rate based on where you live, not where the car is being sold. Which scenario happens depends on the dealer, the state, and whether or not you are financing or paying cash. Often financed deals have to have the tax rolled into the purchase, while cash deals sometimes can be more flexible. Next up, what is this dealer prep thing? When a new car comes off the trailer from the factory, just what is the dealer supposed to do? Many years ago “dealer prep” was a big deal. What happens now? Can I take a car directly from the trailer and drive away? Can they charge me for this? It’s going to vary between brands, but the short answer is: No, you cannot take a car off the truck and drive away, nor should you. The more elaborate the car (and somewhat notable by price) the more time may be required. For instance, an XT5 needs to be run through a series of tests to confirm the battery, charge system, and monitoring systems are all in good/new working order. That alone can take an hour or two. All the shipping tape needs to be removed of course, and all the plastic, you also need to take the car out of transportation mode (which is quite complex on some and easier on others) and then you’ve got to test driveability and check for any issues prior to displaying/detailing the car. And that’s for a pretty normal car. On other cars, you may need to remove dust covers, remove spring perches (typically performance cars with low ride heights), and of course, you’ll also need to install any parts ordered with the car which can range from floor mats to entire trim packages. Now, a lot of this can also be billed to the manufacturer as warranty labor, so this shouldn’t be passed on to the customer and isn’t something that could be broken out as part of the need for a “dealer fee”. In summary, cars aren’t just ready to go when they roll off the truck—there is still some work to be done, but the dealer shouldn’t charge you for this. Lastly, what do you do about insurance on a car that doesn’t work but you still have a loan on? I bought a used Toyota and now it has a lot of problems. The cost to fix it is more than what I paid for it. Do I have to keep paying my insurance if I just park it and not drive it? I do plan on paying the loan payments. That is really unfortunate and it seems like some used car lot really hosed you. Typically if you take out a loan on the car there is a clause in the financing contract that mandates you carry full insurance. The reason being is that you don’t really own the car, the bank does. So if the vehicle gets wrecked or stolen, the bank needs to have insurance pay out the rest of the loan. Even though you aren’t driving it, if you drop the insurance the lender could come after you. However, what you may want to do is contact a local consumer protection attorney or your attorney general’s office about that shady dealer. Perhaps there could be a solution. Can I Still Get A Discount If I Order A Car From The Factory? Is All-Wheel Drive Really Worth the Extra Cost?